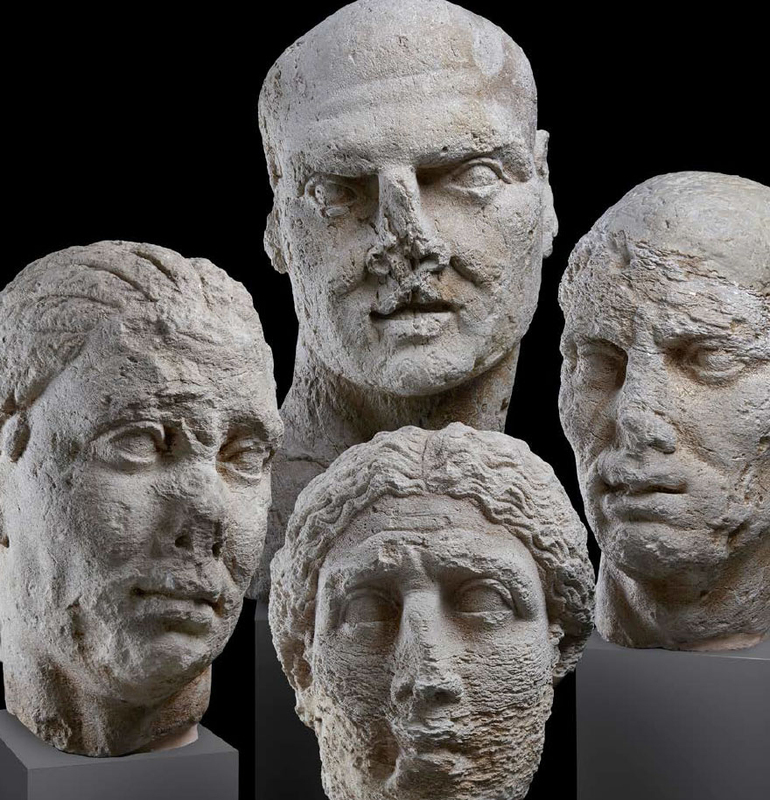 Roman portrait heads, 2nd‒3rd century AD. Courtesy Ashmolean Museum. Storms, War and Shipwrecks tells the extraordinary story of the island at the crossroads of the Mediterranean through the discoveries made by underwater archaeologists. For 2500 years, Sicily was the place where the great powers of the ancient and medieval eras met and fought. Phoenicians, Greeks, Romans, Byzantines, Arabs and Normans battled for control, with many of their ships sinking off the island’s rocky shores. Sicily’s azure waters have since become a focus for underwater exploration and dozens of shipwrecks have been recovered. This major summer exhibition explores the roots of this multicultural heritage with over 200 spectacular and unusual objects rescued from the bottom of the sea. From bronze battering rams once mounted on the prows of Roman warships to the marble pieces of a Byzantine ‘flat-pack’ church; from intrepid prehistoric traders to the enlightened rule of the Norman kings, the exhibition illuminates the movement of peoples, goods and ideas. The treasures on show in Storms, War and Shipwrecks have been uncovered over the last 60 years since the advent of SCUBA diving equipment which made possible sustained underwater exploration. While some of the objects are chance finds pulled up by local fishermen, most are from shipwrecks excavated by archaeological divers.